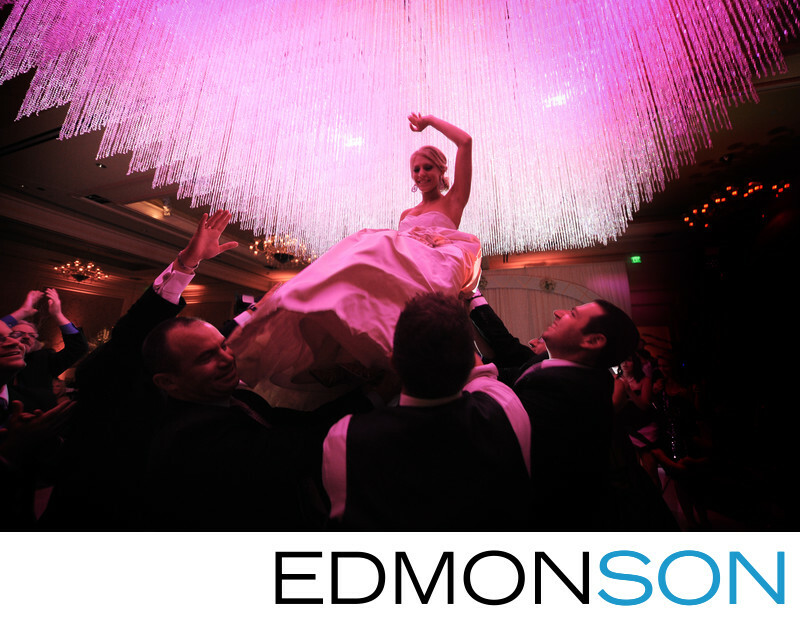 Jewish wedding reception reaches an exciting frenzy as bride is lifted up towards the massive chandelier. Wedding coordination provided by Mary-Frances Hurt of DFW Events. Set design by Nelson Robinson of Stageworks in Ft. Worth.